This year we’ve focused on building connections in our classes through the themes and activities on offer. We explored Botswana and its culture in Term 1. We looked at the ways we connect to our community with themes such as ‘family’ and ‘community helpers’ in Term 2. Term 3 will look at the ways in which communities connect around the world: through festivals, celebrations and uniting for a common cause. 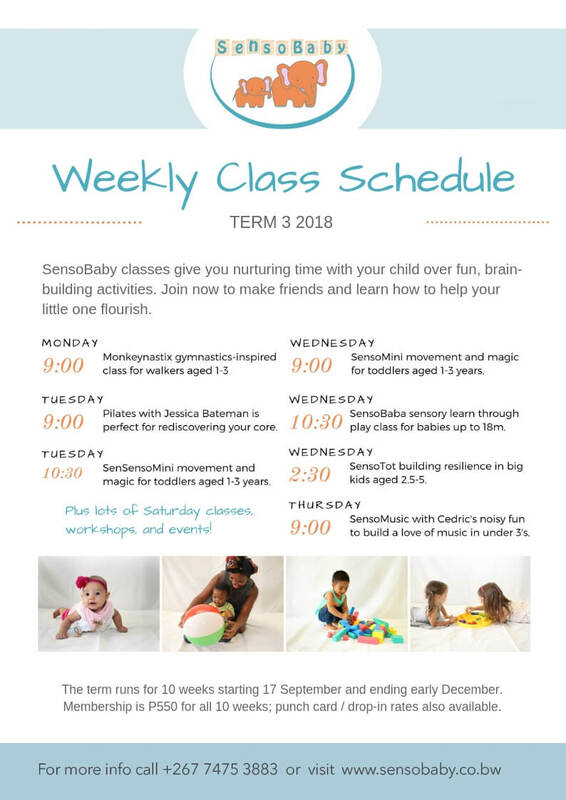 We have a fun filled term planned for you and your little ones to work on building connections! You can choose from a range of classes designed with your child’s holistic development in mind. We have your child’s wellbeing in mind: child development is not just about meting milestones, their emotional world is just as important. One to one time with a caregiver facilitates bonding and supports early communication skills. Our structure and routines build a sense of belonging and introduce the concept of boundaries in a developmentally appropriate way. 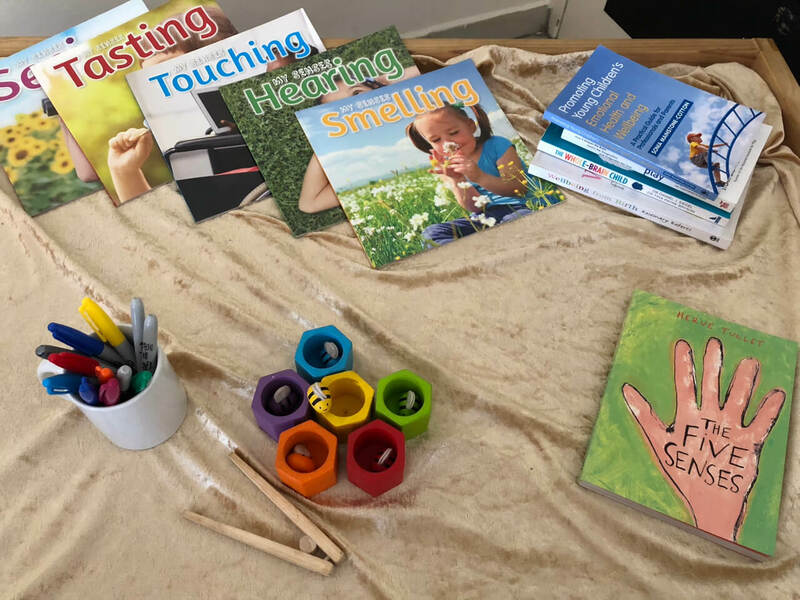 Activities are designed to support the development of gross motor and fine motor skills, as well as stimulating the overall sensory profile of your child. Music and rhythm support speech and language development. You will find a community that supports parents, nanny’s and caregivers. You can find a safe space to ask questions, compare notes and share ideas. At Sensobaby we support a gentle and respectful approach towards working with infants and young children. 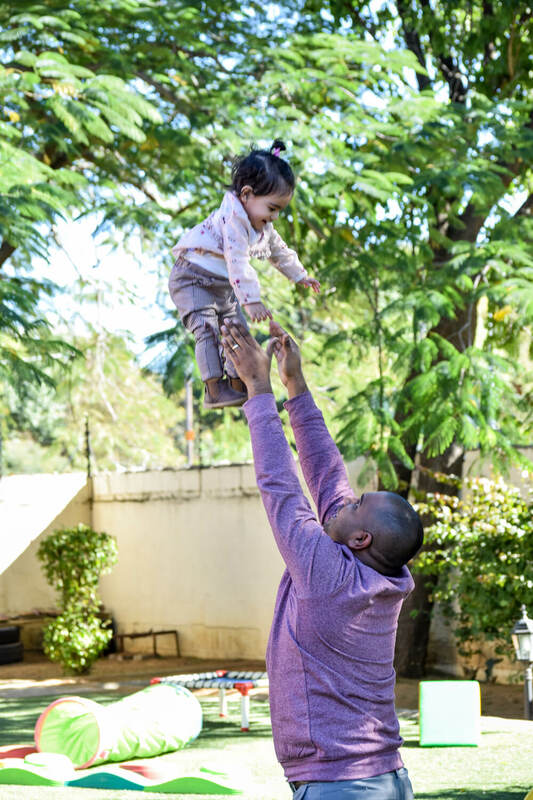 Our directors are trained in effective parenting techniques and are on hand to offer advice and support. You can expect to spend focused time with your little one. For working parents, this can be an oasis in an otherwise rushed daily schedule. Nanny’s, grandparents and other carers also look forward to the time they can spend with the little ones. We encourage our SensoBabies to get messy! Children explore with their whole bodies and all their senses. Having access to unrestricted play opportunities is great for overall development. We’ll explore cultures and celebrations through songs, music, movement, art, craft, sensory play, outdoor play, touch and memory making. SensoBaby is always changing and adapting in response to the needs of the community. This term we have new events and workshops on offer so make sure you follow our Facebook and Instagram pages to learn more and make the most of the opportunities on offer. We are proud to be able to offer a new consultancy service for the parents of infants and children under five years. This will include information and support on sleep, feeding, play, brain development and managing emotions. This is in conjunction with www.babiesinmind.co.za and we look forward to releasing more details soon! As well as the usual great member benefits, our members this term will receive a ‘Passport’ for each child. Your little one can gather stamps for each lesson and you can keep a record of what they have been doing in each class. We’re also giving you ‘Play at Home’ ideas each week so you can continue the fun each week. We can’t wait to see you and your children for Term 3! Caroline holds a Master’s degree in Mental Health and is passionate about wellness and helping others achieve their full potential. Having previously supported families, adolescents and children in settings such as hospitals, prisons, refuges and in the community; Caroline now loves focusing her attention on the Under 4’s and their families.